The Crown Daisy (Glebionis coronaria) is a large flowering plant growing typically in disturbed sites and cultivated areas. 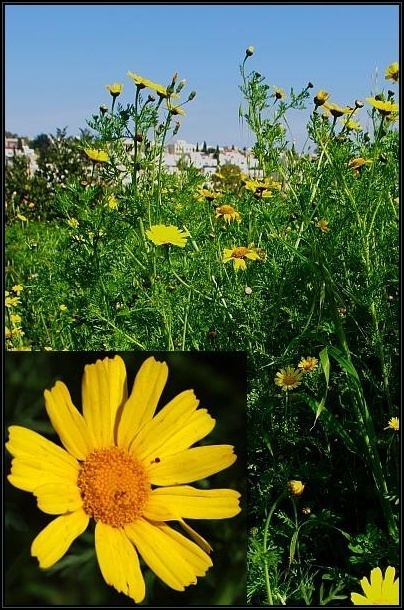 It has a bright yellow flower and can grow in large numbers. The leaves are deeply divided and dark green in colour. Flowering is in Spring. A variety (discolor) in which the flowers have paler colour (whitish) is also found in the Maltese Idslands.